Charles Walker spent over 30 years dedicated to public service. He served five terms representing Georgia, and he was the first African American chosen to serve as Senate Majority Leader, the second-highest elected position in Leadership. Charles is also a highly respected and successful businessman who has founded and grown several multi-million dollar companies. These ventures have led to his becoming one of the largest minority employers in the state of Georgia. His new book, “From Peanuts to Power”, was just published and outlines his fascinating journey of going from being a poor, young boy in the south to becoming a political powerhouse and entrepreneur. He carefully weaves in the importance of wealth accumulation, the steps to achieve it, and his lessons learned for overcoming adversity. 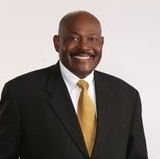 Charles won the Presidential Appreciation Award for the Coalition for Respect, the Medical Association of Georgia’s Distinguished Service Award, The Paul Harris Fellow by The Rotary Foundation, and the Legislator of the Year Award. Robert Butwin is a professional networker skilled in social media, marketing, sales, management, training and public speaking. He focuses on individuals who are either “stuck” or looking to create something more from life. His strategies are to help people live through the Law of Attraction and to help people position and brand themselves through using LinkedIn, Facebook, Twitter, and Blogging. 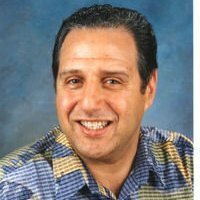 For 20 years, Robert has been in the upper 1/10 of 1% income earners in the Multi Level Marketing profession and was elected to MLMIA Hall of Fame. Robert served on the Board of Directors of MLMIA and is a Contributing Writer to many industry periodicals. His is also Author of bestselling-book “Street Smart Networking.” See more of Robert is this video….